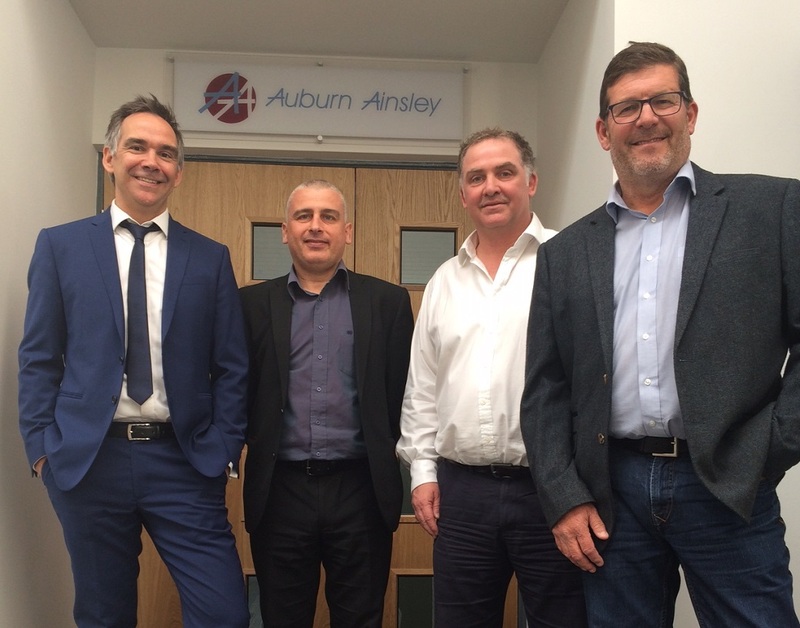 Construction project management and cost consultant company Auburn Ainsley Limited has impressed its clients and staff with its relocation to Meadowhall Business Park. The firm, which moved from Rotherham to the newly developed business park in March 2017, says the location and accessibility of the new office has been backed by its staff and clients, many of which are based across the Midlands and North of England. And a number of clients have been so taken with the facilities at Meadowhall Business Park they even host meetings at the consultants’ office. Auburn Ainsley director Andy Wigfield said: “The move to Meadowhall Business Park was a strategic one to ensure we were well positioned to meet future business challenges. 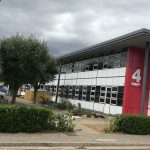 “The location is perfect for our needs and allows for easy motorway access and surrounding areas for both our staff and clients when attending meetings. This is really important as we cover a wide geographic area across the Midlands and North of England. “The refurbishment works were completed as described and the whole office environment and location has lifted the company’s image far greater than we imagined. “The bright, clean and airy offices of Meadowhall Business Park and reception area in MBP3 provides a very welcoming atmosphere for both staff and clients. “Our business continues to thrive. A number of our clients now ask to host meetings at our office. “The overall size of the new office was actually smaller than our previous one, however, we have made better use of the space by reconfiguring furniture, equipment and staff and incorporating a larger meeting room for a more staff and business friendly open plan office environment. “And we have some of the best facilities within a mile of Meadowhall Business Park. “These include great places for entertaining clients with Meadowhall Shopping Centre in close proximity of our building, which is very convenient for staff when needed. “We also have great transport links both on the roads and rail with the new traintram stop being located over the road connecting us between Rotherham and Sheffield – this is another useful connection link for both staff and clients. 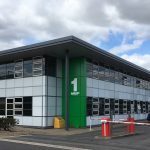 Property developers ARBA Group has transformed five former Sheffield City Council office blocks into more than 70,000 sq ft of commercial business space at Meadowhall Business Park. Only 7,500 sq ft remains available. Businesses already attracted to the park, which currently sustains more than 300 jobs and is being marketed by the Sheffield office of Knight Frank along with Campbell & Co, include Capgemini, Tuffnells, GMB union, NG Bailey, Chique Photography, KitchenEx, Preventx, Wilford Smith, Eaton Commercial Property Consultants Ltd and Galaxy Insulation and Dry Lining (Holdings) Limited. Meadowhall Business Park, which has available modern open plan suites with comfort cooling plus generous on-site car parking, is located opposite Sheffield’s IKEA and boasts excellent transport links. It is located less than one mile from M1 Junction 34, two miles from M1 Junction 33, six miles of the M1/M18 intersection and 25 miles of the M1/M62 intersection and also easily accessed by bus, rail and the Supertram. For further details on remaining space from 3,750 – 7,500 sq ft contact Peter Whiteley at Knight Frank on 0114 272 9750 or Campbell & Co on 0114 276 5551.